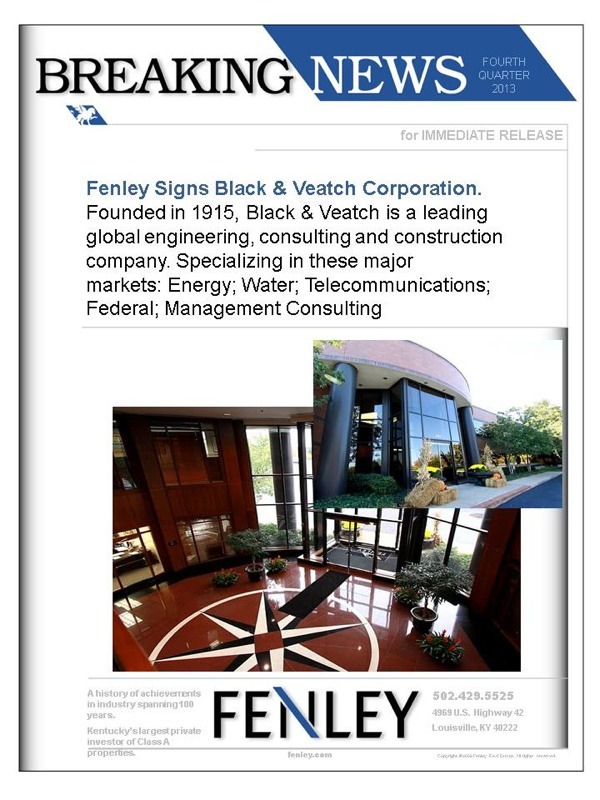 Fenley Signs Black & Veatch Corporation. Founded in 1915, Black & Veatch is a leading global engineering, consulting and construction company. Specializing in these major markets: Energy; Water; Telecommunications; Federal; Management Consulting.